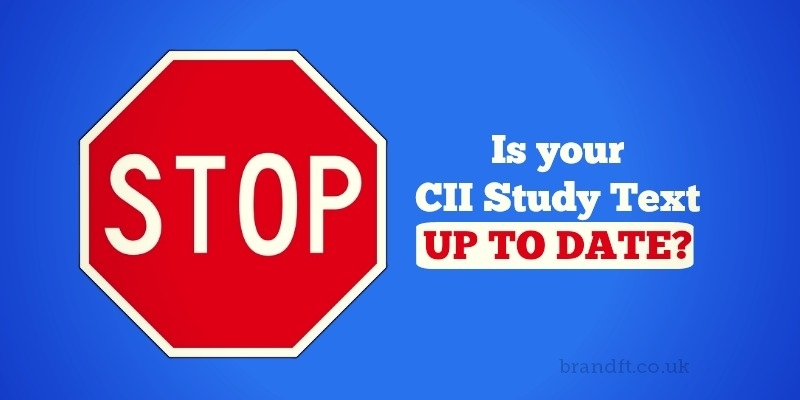 Are you aware that the CII update their study texts throughout the examinable year to either incorporate new legislations, correct errors or clarify information? Many candidates aren’t aware of this, which can result in candidates studying out-of-date information. 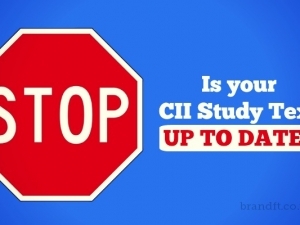 To make this easier for you, we have collated the most recent CII study text updates. As some of them affect Brand Financial Training’s learning resources, we have also updated the relevant parts of our resources, which are noted below. Note that we always keep our resources up-to-date. These updates were taken from the CII website between 5 December 2015 and 12 January 2016. You can find these updates yourself by going to http://cii.co.uk and navigating to your chosen exam. Then in the right-hand column you will usually see two options: “Learning solutions update” and “Qualification update”. These are the two areas where updates to study texts are normally shown. The #CII have released updates to their study material. As a result of the re-issue of the manual for this exam, we have updated our Study Notes. As a result of the updates for this exam, we have updated our Mock Paper Taster, Mock Paper Set 1 and Mock Paper Set 3. As a result of the updates for this exam, we have updated our Study Notes.